Cisco Systems is not to be taken lightly, as they are one of the largest producers, manufacturers, and developers of hardware appliances that make the Internet work – especially within the United States. Their hardware appliances and technologies adhere to industry-standard protocols set forth by ISO and IEEE, and if you want to be competent network engineer or penetrations tester, you’re going to need to understand how their products work. But Cisco has a smattering of different certification options, and it can be confusing understanding how the various certs are organized and what knowledge and skills they validate without any prior knowledge. So today, we’re going to take a high level overview of Cisco certifications, and map out how their organized as well as what each certification track is about. Cisco has a pretty planned out and intuitive manner of organizing their certifications. They are each divided into separate ‘tracks,’ which basically each account for a different type of networking discipline and body of knowledge. We’ll discuss each track in greater detail in the coming sections. In addition, each certification is divided into 5 different levels of experience. Well, technically there are 5 levels, but for all practical purposes, there are essentially three – allow me to explain. The five different levels include Entry Level, Assosciate, Professional, Expert, and Architect. However, there’s only one certification at the entry level, and it’s the CCENT (Cisco Certified Entry Networking Technician), which is really only awarded to those who have passed the first half of the CCNA exam. Next come the associate certifications, and they are basically the first rung of the ladder in any given track. Following associate certifications are the professional level certs. These certifications require multiple exams to be completed – sometimes as many as four examinations – before a candidate achieves full certification. After the professional level certifications come the expert level certs, and they’re nasty, hairy, incredibly challenging ordeals. Candidates will need to study their tuckuses off and have years of experience before ever attempting these tests. They aren’t composed of simulations and multiple choice questions. Though there is a written portion of the expert level exams that follow that format, the real challenge is the lab portion of the exams. For the lab portion, examinees will need to complete unfathomably difficult configurations based on real world scenarios, and use real Cisco devices. Last but not least, the highest Cisco certification is the Cisco Certified Architect, which is perhaps one of the most brutal I.T. certifications in existence. The total cost is a whopping $15,000 USD (hopefully your employer will help offset the exam cost). The certification candidate must meet in front of a board of Cisco approved exam committee officials, and defend their design and network solution. There are other steps of the exam, but it’s no easy feat. In fact, the CCDE (expert level design track, or Cisco Certified Design Expert) is a CCAr prerequisite. And there are hardly any CCAr’s in existence. Each year, only a maximum of 4 new CCAr’s are awarded. So if you ever do summit the CCAr moutnatin, you will be a veritable technological god among geeks. The candidate must meet before a board of Cisco-appointed exam committee members, during which the candidate defends their proposed network solution. Before that the candidate must first submit an application summarizing their project experience and other qualifications and be interviewed by the Cisco-designated board team members. If accepted, only then will the candidates be given an architecture challenge and will meet live with board members to answer questions and defend their design. Needless to say, it’s an increcibly challenging exam and garners the respect and admiration of the entire industry. Now that we understand the different levels of certifications, let’s take a closer look at the different tracks and disciplines. Routing and switching is perhaps the most common path that people take on their quest for a CCIE certification. It’s kind of a ‘plain vanilla’ track, and as the name implies, it focuses on routing protocols and switching technologies. In this track you’ll learn about how routers know where to send data, IP addressing structures, IPv4, IPv6, routing protocols, and LAN switching technologies. It is a pretty standard track, and the concepts learned in the routing and switching certifications are prerequisite knowledge for many of the other tracks (at least at the associate and perhaps the professional level). If you want to build a secure computer network, you don’t just plug cables into a router or switch on an as-needed basis. There is a lot of hard work and planning involved in intelligently designing a network for optimal performance. In the design track, you’ll learn best practices and parameters concerning modern design methodology and various design models. Remember that the expert level certification in this track, the CCDE, is a prerequisite for the CCAr certification. Cisco owns a lot of share in the wireless hardware market, and it only makes sense that they’d want to train I.T. careerists how to properly and efficiently setup their wireless equipment. Though not one of my personal favorites, knowing how to setup wireless infrastructures is critical in today’s Internet-driven world. Candidates in this track will have both a theoretical understanding of how wireless networks operate on a technical level and know how to install, configure, and implement various cutting-edge wireless technologies. Not all network engineers operate within the confines of a corporate environment. And when you look at the technologies and methods used to build networks for a business versus an Internet Service Provider, all the rules change. The Service Provider track helps validate the skills and knowledge need to build, configure, troubleshoot, and maintain a Service Provider network, with everything from WAN technologies to traffic shaping and policing. Security, in my opinion, is a rather interesting and juicy certification pathway. In this track, you’ll learn firsthand about all of the latest and greatest threats to modern computer networks and information systems. This track is of special interest to those who want to be white hat hackers and penetration testers. And because new threats are evolving and adapting every day, it seems that there’s no end in sight for the security industry. The modern Internet has advanced a lot since the days when weak computers were the size of small businesses. Furthermore, modern computer networks don’t operate on the traditional client/server model of decades past. These days, everything has moved to the cloud. And what used to take a team of I.T. personell and a lot of expensive personal hardware is now being sold as a service. 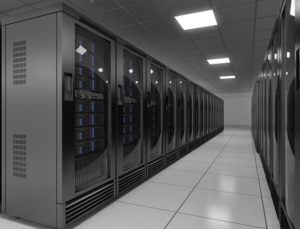 All of these digital services, such as cloud storage, typically physically live in a data center. So, it only makes sense that Cisco would create a certification path to help engineers become more adept at working with data center technologies. This is not a comprehensive list of Cisco certifications. In fact, there are a few other stray certification that weren’t included, because their specialty certifications that don’t progress to the expert level. But the disciplines listed above outline the major framework of the most popular certification pathways, and you should have a good understanding and overview of what certifications Cisco has to offer I.T. engineers. 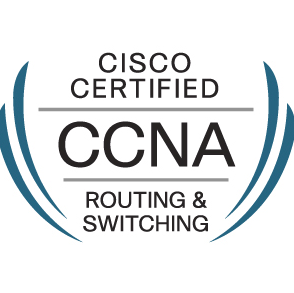 Lastly, remember that the starting place for anyone who wants a Cisco certification is the CCNA exam, which is in the routing and switching track. It’s actually a prerequisite for many of the other advanced certifications. If you’re curious about getting one of the above certifications, my advice is to start with the CCENT or full CCNA exam to see how you fare, because the tests are only going to get harder as you move forward.